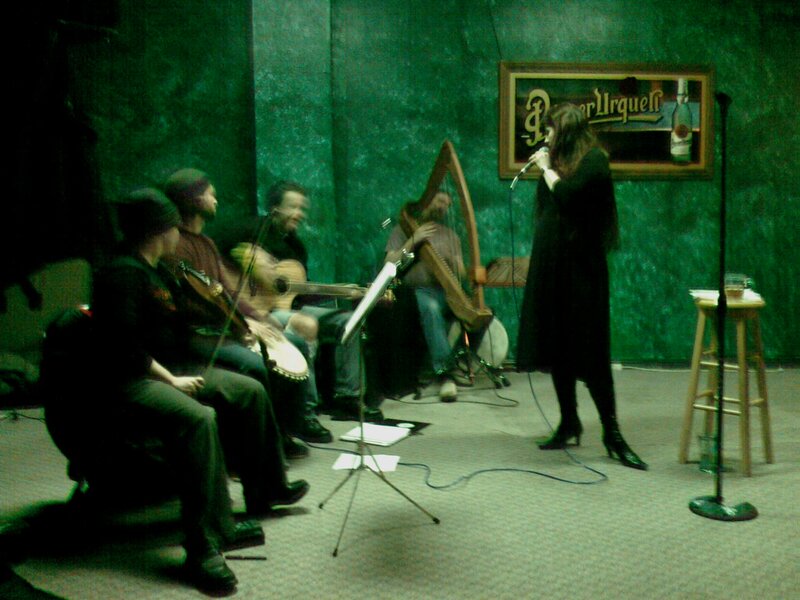 Debbie and Bruce invited us out last night to hear an Irish folk band that was playing in a pub in Oregon City. I never really think of Oregon City as having much of a nightlife; although there is a downtown with a number of bars that always seems intriguing, Markie and I have never found anyplace we've wanted to stop at (although the McMennemans has always worked out for us). Looking up the Living Room Pub online we saw a couple really terrible reviews; Just goes to show you can't believe everything you read online. The draft beer is what you expect in a Portland area pub with decent microbrews but the big surprise is the huge cooler of bottled beer. I had a couple Irish beers to go with the music, and my lovely date started with a Vietnamese beer ('33) and settled on a good scotch ale towards the end of the evening. All Oregon bars are non-smoking now, and I assume the place was thick with smoke before the law, but it's a clean, well lit, neighborhood spot with a couple pool tables up by the bar, and a huge seating area (they have apparently been steadily expanding the place since last April). I chatted with one of those locals and was surprised to learn he was a vulcanologist with the State of Oregon. We also talked with the owner about the two reviews we saw on Google, and she was friendly, chatty and not at all what the reviews suggested. The Widdershins, the band we went to see, played in the new section of the bar, and there was room to dance and carouse without interfering with the regulars at the bar. We got there a little late, and ended up sitting at a table to the side of the band, which ended up feeling like sitting at the High Table, with all eyes on the band, and occasionally on us. The fact that Debbie is a belly dancer and has trained on the finger cymbals AND got up and joined the band at one point meant that we ended up even more in the focus, but I'm not exactly shy about that. 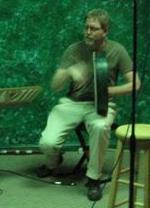 Markie and I were able to take a turn or two around the floor to a couple really wonderful waltzes, and I joined in with the drummers on the Boudhran during one of the breaks, something I haven't done for a long time. That's what a night out in the pub should be, good music with good friends and spontaneity.